WordPress comes ready to use, right out of the box but there are some plugins that are pretty essential to make it work better. Using plugins can help you make your website more secure, get higher rankings and more traffic. Below is a list of important plugins that I use for my WordPress websites. Some of them come pre-installed if you go A2 Hosting for your WordPress website host. Eww! The EWWW Image Optimizer plugin is good for optimizing images as you upload them. The benefit is that optimized images load faster – making your website more user friendly and Google likes to see that. The downside is that when you upload images, it takes a few seconds longer to have them ready to use. It’s a small price to pay, so this plugin is worth getting. → As an alternative, try ShortPixel for automatic and bulk image optimization! The Google XML Sitemaps plugin does a nice job of creating and maintaining your XML site maps. These are the site maps that Google and other search engines use to find all the pages of your website. A plugin that doesn’t break down or cause much of a fuss is one worth keeping and this one is that way for sure. These two plugins –Hierarchical HTML Sitemap and HTML Page Sitemap – will give you a good HTML site map for your website that shows all your pages and posts. The Hierarchical HTML Sitemap plugin just does posts while HTML Page Sitemap shows pages. You might have noticed this working on my website already. It pops up a message. I like using a popup as people are trying to leave and you can give them something to do – a call to action. 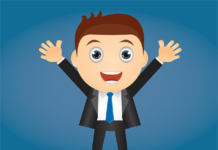 You can ask people to join an email list or show them an ad or even just tell them thanks for coming by. I see on some websites how the popup comes in a few seconds after you get there and I usually just close it because I just got to their website and I don’t know if the content they have there is good or not. They do it too soon and then if I do find it’s good content, they kind of missed their chance because I forgot about what offer they were trying to shove in my face. That’s why I think it’s best to use a popup as people are leaving – rather than when they first show up or right after they do. If you do have an absolutely awesome offer, then it might work having it right away. I like the Ninja Popups for WordPress plugin because it’s cheap and works pretty well. I use the “exit intent” mode. I like the Pretty Link Lite plugin because it’s pretty. No, just kidding. What it does is help you track links or cloak them to look better. You’ll typically use this one when you have affiliate links but you don’t want them to look like affiliate links. The SB RSS Feed Plus plugin does one thing. It makes sure that there are images in your RSS feed. Actually, it does more than one thing – it can do more but that’s what I use it for. You can also put ads in your RSS feed and some more things. I tried a few of these plugins and this one worked the best. Why you want images in your RSS feeds is because you can automate your website newsletter. When you use MailChimp or GetResponse for your auto-responder, you can use your website’s RSS feed to send out a newsletter to your list whenever you post a new article. You can always send out more newsletters but by doing this, you ensure that everyone sees your new content. With the A2 Optimized WP plugin, you can make your website load faster. It includes the W3 Total Cache plugin and some other ones. It’s a bundle, basically. When you install it, it configures the W3 Total Cache plugin for you, which is nice because there are a lot of settings in that plugin. if you go A2 Hosting for your host, then you get this plugin automatically when they set up your website for you. WooCommerce is a shopping cart for your WordPress website. They started out as their own company and then the company that makes WordPress, Automattic, bought it. It’s a good, solid e-commerce platform. It’s easy to use and works really well. It’s free and works find out of the box but if you want advanced functions, you’ll need to buy some add-ins that they sell. I’m using WooCommerce here on my site without any extra plugins and it works great. So it’s free, great e-commerce. Not bad! 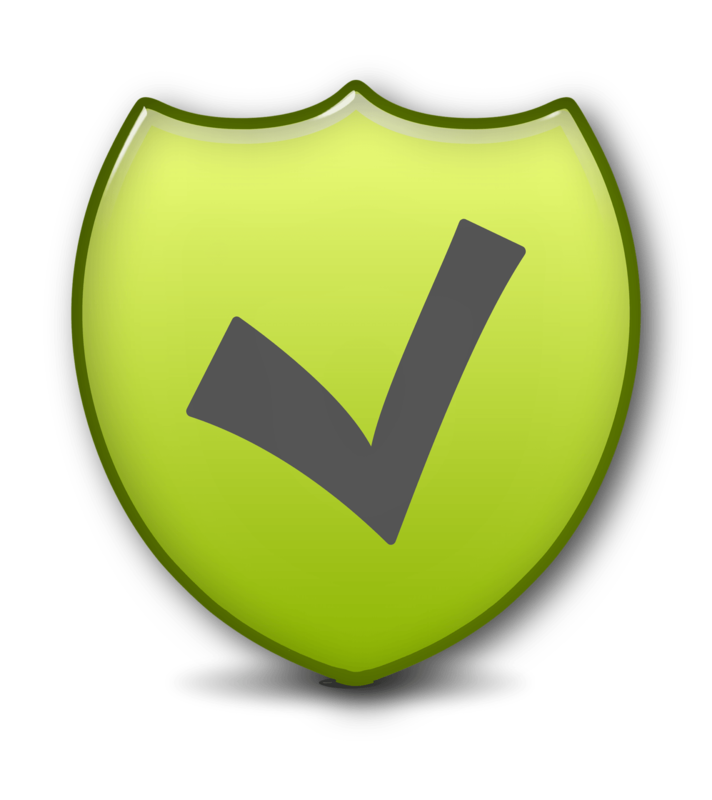 The Wordfence Security plugin is a must-have WordPress plugin. It handles security and attacks on compromises for you. It detects them and shuts them down by blocking those IP addresses. Your website will get attacked. It’s nothing personal – you just happened to own a website and hackers are going want to get in so they can make changes to it or send out spam email or whatever. It just happens. Hacking attempts happen all the time. I see them. Most of my clients have no clue how much their website is being attacked. Cleaning up a hack is a lot of work. Sometimes you either have to pay someone to clean things up or completely rebuild your website. It can slow you down from developing content, so that’s why I say this plugin is a must have plugin. The WPS Hide Login plugin hides your login page. And that’s about it. This is important for website security. It’s one more way to help prevent your website from being hacked. If the hackers don’t know where to login, then it’s going to be a lot harder for them to get in. Just make sure you remember the URL. I make sure I bookmark it right away after setting it up. The WP-DB-Backup plugin is nice to have running. It creates a backup of your database for you and you can have it email you a copy every week. The database part of your website is probably the most important part because that’s where all your content is. Sure, your website host may have a backup of your website but do you trust them? I’ve logged into my HostGator control panel a bunch of times and have seen backup errors. They don’t email you or contact you about this – they just hope you’ll login to your hosting control panel and see it. That’s not good. I’ve had clients hosting at HostGator who contacted them for a backup of their website and there wasn’t one – not cool. I haven’t used the UpdraftPlus Backup and Restoration plugin but it’s highly rated and they have the most downloads of all the WordPress website backup plugins. There seem to be a lot of options of ways to backup your website files. This is good protection to have in place. If you’re not sure what pings are, then I’ll explain them here a little and why the WordPress Ping Optimizer plugin can help you. When you post an article, a ping goes out to your ping list. That’s great because other websites get notified about your new post and they come by to check it out. The problem is that WordPress has a flaw. It sends out pings every time you update articles and that’s just too many pings. It’s like crying wolf. You’re saying, “Come and check out this same article that I have here… again. Come, see – it’s… ok, well… it’s about the same as before.” and that can get annoying. Instead this plugin only sends out pings when it really matters. This makes sure your website doesn’t get ignored but that you get attention when you’re posting new content. There are a lot of great features in the Jetpack by WordPress.com plugin. 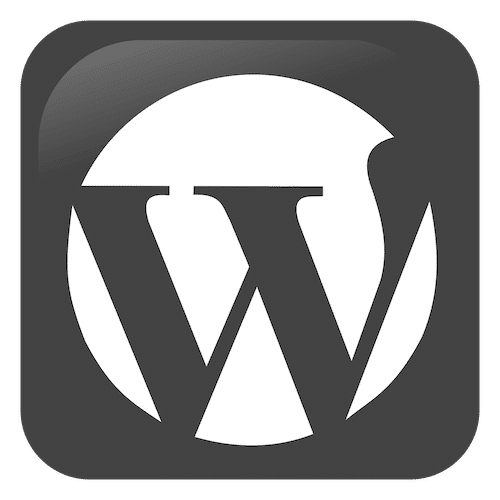 It’s the features that people using WordPress.com got to enjoy for a long time and then it was finally available to WordPress.org (hosted) users. I like the stats on the Dashboard, the sharing features and a few others. This is just a great plugin to have and it helps bring all your WordPress sites together if you manage more than one site. I’m not sure what ever happened to Contact Forms 1-6, but Contact Form 7 is a good plugin if you need a contact form on your website – and, as it turns out, you do! Yes, that’s something Google looks for because good websites have a way to contact the owner of the website. This is a good, simple way to get a contact form on your website. Just do a few clicks, put in the shortcode on a new page and it’s done. You need the All in One SEO Pack or Yoast SEO plugins to get into the title and meta tag settings so you can optimize your website. When you optimize a page, you’re helping the search engines classify it better and in turn, you get better rankings. These features are missing from WordPress, so you need one of these plugins. Either one works great. I’ve only started using WP Review recently but it’s a good plugin to use. When you get people giving your articles/posts good rankings, search engines start using that data. Those stars start showing up in search engine results and that helps your post rise to the top of the rankings. Another benefit is that it keeps you accountable. It lights a fire under you. If you know that you’re going to let people rate your article, then you have to WOW them! It makes you keep thinking about how your article can be better – how you can go deeper and make your article the best one there is on that topic. What Comet Cache does is it makes static, HTML versions of your pages so that your website loads faster. If you are not using SSD hosting or your host is just slow – or maybe your website uses a lot of plugins, then use this plugin to help speed things up so that people aren’t waiting. How quickly your website loads is a ranking factor and it’s one that’s in your control for the most part, so don’t pass up the opportunity to make your website load quickly. They’ve had to change the name of this plugin a few times, so hopefully they can keep using this name this time. Get this plugin. So it’s another version of your page that you’re making available in case Google wants to use it. It’s a Google-friendly plugin and for that reason alone, why not use it? Oh, how do you explain Akismet? It stops comment spam. Cool… I just explained it. It doesn’t stop it completely but it does a nice job. When you do get comment spam, you can say it’s spam and then that feedback goes back into the community – everyone using the plugin. Together, we’re all helping to stop it. You’ll know it when you see it… maybe. It’s weird. People will make a comment on your article but it won’t make sense. The comment will be about something totally unrelated and you’ll wonder what they’re talking about and then you’ll see that they included a URL in their comment or they listed their website along with their name and email and you’ll see that they’re just trying to get a link on your website. They’re hoping you’ll approve their comment. If you want to save time deleting a lot of worthless comments, get this plugin. It’s by Automattic, who makes WordPress and it’s just one of those things that should be included… in fact, it is. If you need to monetize your website with ads, this is a good plugin to go with. A lot of themes now come with ad positions but this plugin puts ads inside your content – versus on the side or on the top. Ads within your content do better and get more clicks – that’s proven. The developer of this plugin (Easy Plugin for AdSense) is a little flaky, you might say. He’s changed the name of it a bunch of times. I knew it as “Easy AdSense” for a long time. It’s hard to keep up with the name of it and he’s trying to sell you a book or something pretty strong (too strong) when you see the admin area. Just scroll past that stuff if you want and get to the settings. I’ve actually contacted this developer. I think I might have made a donation to him but I do remember asking him for a feature and he did put it into the plugin. I suggested having a word count for each ad position. I only wanted the third ad to show if the word count was high so that there weren’t too many ads showing in my articles and he put that feature in, which was really cool. This Stop Spammers Spam Prevention plugin is really good at stopping all kind of spam from coming in. We had trouble with spammers with just Akismet running on a website. We then installed this and it instantly stopped. Use it to stop comment and form spam on WordPress. Once you install one, go ahead and activate it and then see if you need to change any settings. Sometimes the plugin will give you a note telling you to do something but sometimes it doesn’t. What helps is, to look at the WordPress plugin page and look at the installation instructions. It should tell you what to do. Some plugins do not have an admin area – they just work, so be ready for that. Some of them put their admin area on another screen that’s already in WordPress. For example, the WPS Hide Admin one does that – the setting to specify your hidden URL is on the Settings > General page. Before installing a plugin, it might be a good idea to have a backup of your site – at least the database. This is just in case something bad happens. If something bad does happen and you sort of lose control of your website, what often helps is FTP-ing into your site and find the folder of the plugin and delete it. Plugins are kept in the wp-content/plugins folder. When you delete it or even just rename it, things won’t match up and WordPress will then deactivate it for you automatically – and that’s kind of a nice feature, actually. WordPress plugins are great and there are a LOT of them out there. The ones I listed here are just the ones I think are important ones or good ones to use. I use others but these are the ones I use the most often. Which ones do you use? Let us know! Put them in the comments below!